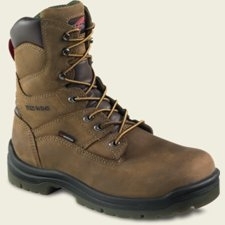 Ruggedly built for high steel work and other tough industrial environments, these boots deliver exceptional all-day comfort. The iconic flat-bottomed sole has no heel, ensuring superb stability and reducing the risk of tripping. And the shallow lug pattern doesn’t pick up mud or other material for better overall traction. 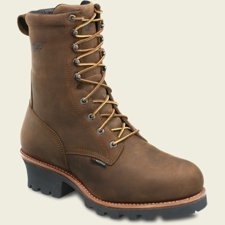 Leather crafted with time-honored techniques finishes the boot with natural beauty and unmatched durability. 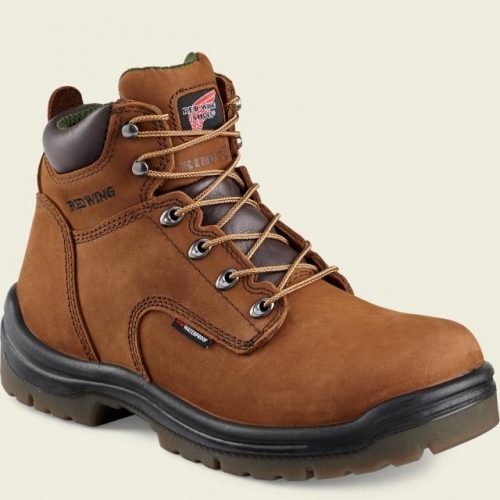 An expanded toe box makes these all-purpose work boots the right choice for superior comfort, whether you work indoors or outdoors, in construction, light manufacturing or transportation. 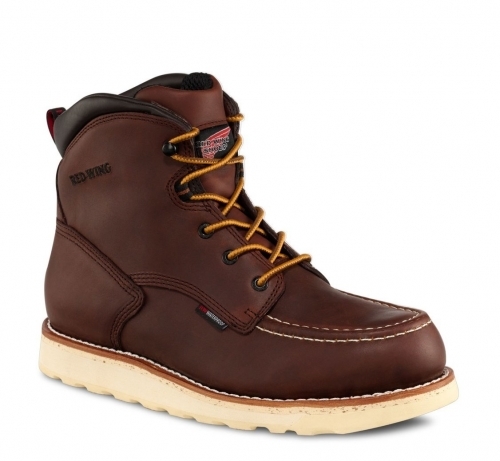 Direct attach construction offers flexibility as well as durability, while a full-grain waterproof leather upper protects against exposure to the elements.